Clarksville, TN – Forty years after the fall of Saigon, Vietnam Veterans will at long last be publicly recognized for their service to our country. Visit Clarksville is proud to partner with the Tennessee State Council of Vietnam Veterans of America, the USO and US Tours to present Welcome Home Vietnam – An American Veterans Parade. Veterans Parade set for Tuesday, September 15th. This special day of celebration and remembrance provides our Vietnam Veterans the warm and appreciative “Welcome Home” reception that was not extended upon their original return home. 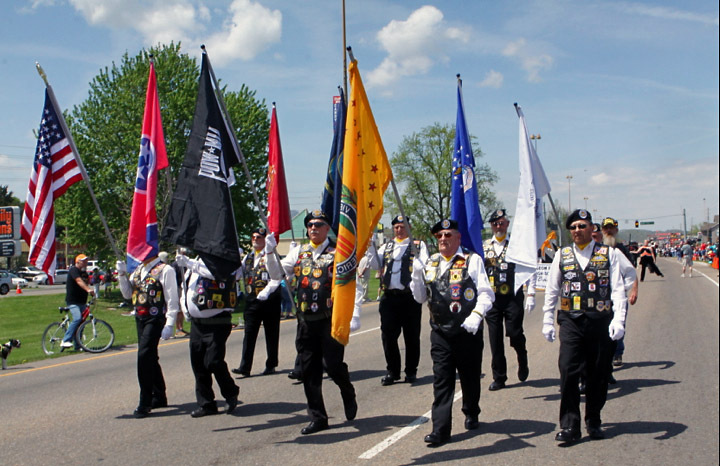 Consistent with the Vietnam Veterans of America’s mantra, “Never again will one generation of veterans forget another,” the parade will honor those who served in all conflicts in any branch of the military. Veterans of any conflict may register to march by visiting www.welcomehomevietnam.com . The community and visitors are encouraged to line the streets of Liberty Park on September 15th to show their support for our American heroes. A team of skydivers will open the parade at 10:00am, followed immediately by a ceremonious three-quarter mile march through Liberty Park, ending at the Wilma Rudolph Event Center. 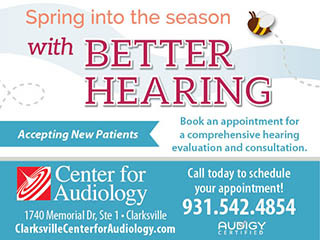 “As home to Fort Campbell, Clarksville’s local military culture and awareness is strong. Yet, those who didn’t live the experience may be in disbelief of the sordid treatment of returning Vietnam Veterans. This is our collective opportunity to embrace those who served in Vietnam and other conflicts and express that we as a community remember their service,” said Theresa Harrington, Executive Director of Visit Clarksville. “Many of our younger Veterans of Middle Eastern conflicts may also find comfort and support in meeting those who fought before them,” she added. Lee Greenwood will serve as Parade Grand Marshall and celebrity speakers and participants include AFR-DJ and Hollywood Actress Chris Noel, actress/cover girl Jennifer O’Neil, Lt. Gen Hugh Smith (Ret), TN Commissioner of Veterans Affairs Many-Bears Grinder, and TN-VVA President Barry Rice. Bringing the parade to Clarksville involves multi-faceted efforts from a number of community partners. Visit Clarksville is grateful for the participation and commitment of the 101st Airborne Division (Air Assault),Northwest High School JROTC, and the countless organizations and individuals who have donated use of convertible vehicles. Lunch is free to all registered Veterans courtesy of Tailgater Toby BBQ Café from Kansas City, MO.